The perfect lakeside family home. Located on the shores of 62-acre Little Lake Sawyer, this beautiful community emphasizes nature and is ideal for families that love boating, fishing, water skiing, and other lake-based recreation. There are also lakefront homes, three charming ponds, fountains, walking trails, a swimming pool, and other coveted amenities. 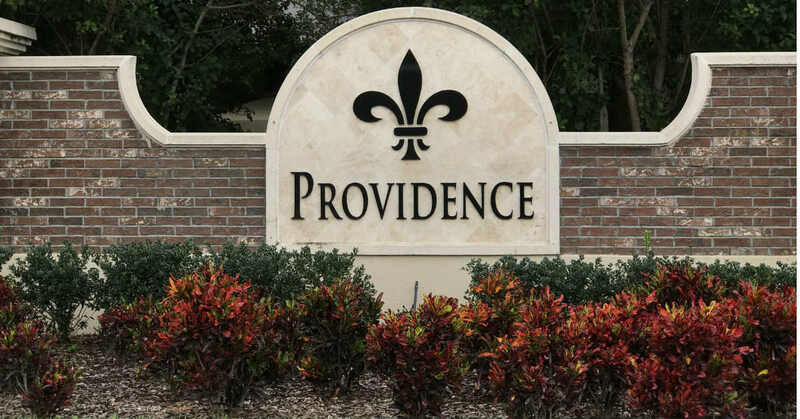 Providence is a relatively small community, offering a balance of privacy and neighborliness in a serene environment. Residents feel pleasantly separated from the region’s hustle and bustle, while still being so close to countless dining and shopping destinations, Disney and the other theme parks, all the major highways for convenient commuting and travel, and everything else the Orlando metropolitan area has to offer. There’s no need to go far, though; grocery stores and restaurants are within walking distance, while the highly rated public schools in the zone are just a few miles away. The new West Orange High relief high school, scheduled to be completed in 2017, will be right around the corner, too. Excellent private schools are also close by.